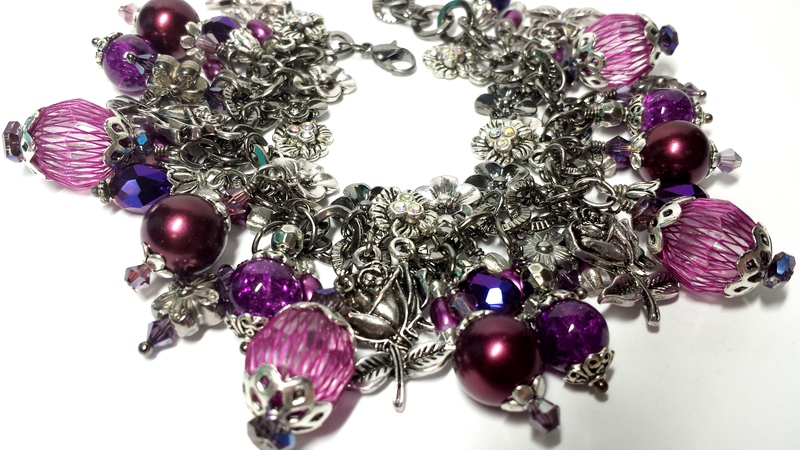 Buying only already made charms limits your creativity and can be costly. 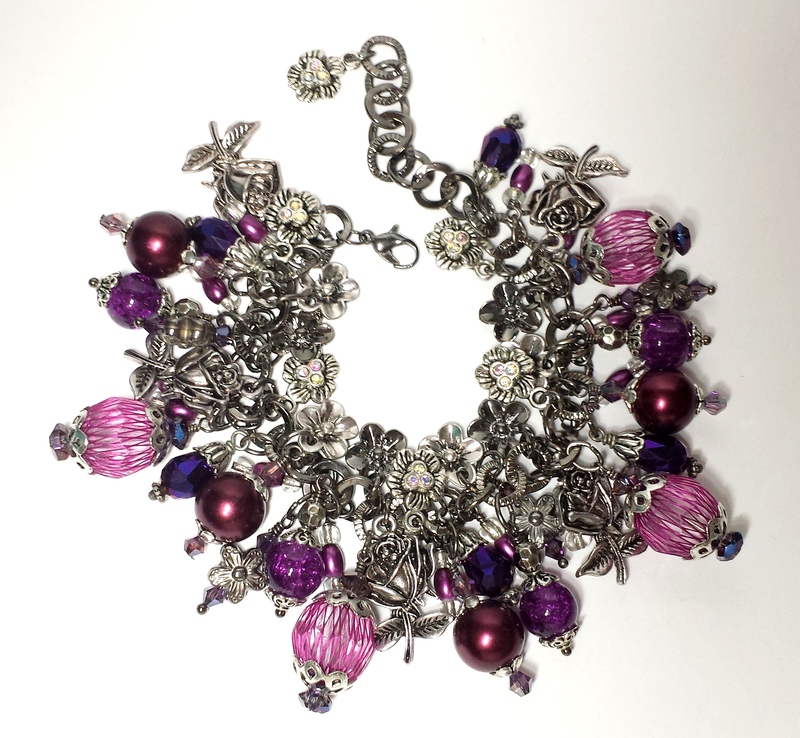 Making your own beaded charms allows you to incorporate many color options and a uniqueness to your own one of a kind bracelet. It’s very simple to create these like the ones pictured above that I created for this bracelet. Use a ball or head pin to stack your small beads, bead caps and large beads onto. When you have the configuration how you like it, wrap the wire left at the top around the end of a round tip plier, leaving a few millimeters space under it (shown above) and hold the wire at the tip with your long nose pliers. Holding the loop you have made securely with your round nose pliers, begin to wrap the wire around the space of wire under it with your long nose pliers in a spiral downward. 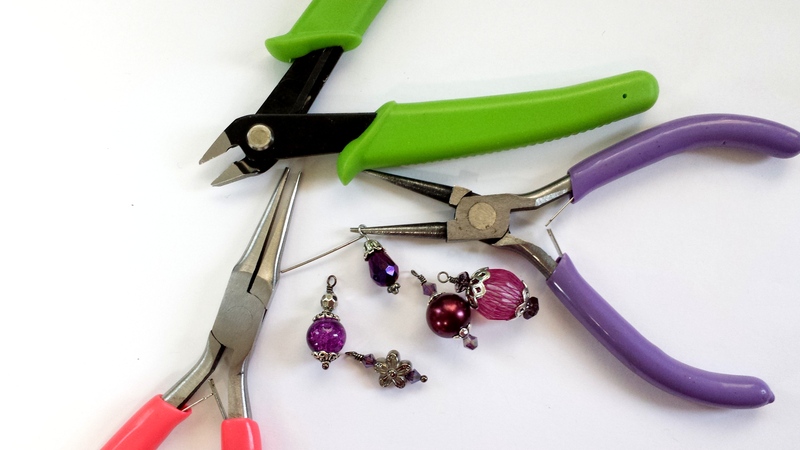 When you have finished your spiral, use the flush cutters to cut off any excess wire. Now we are ready to start configuring our bracelet and yes, this requires a little basic math but that is what keeps the bracelet balanced. Now I know this looks like a mess but it’s a blueprint, a grand plan for balance! I recommend taking a picture as a reminder of how you wanted it because when we clear them out to begin attaching the charms, sometimes even I forget the order I had planned. Lay your chain down on your bead mat and attach it to your mat right below the lobster clasp to hold it in place with a pin. 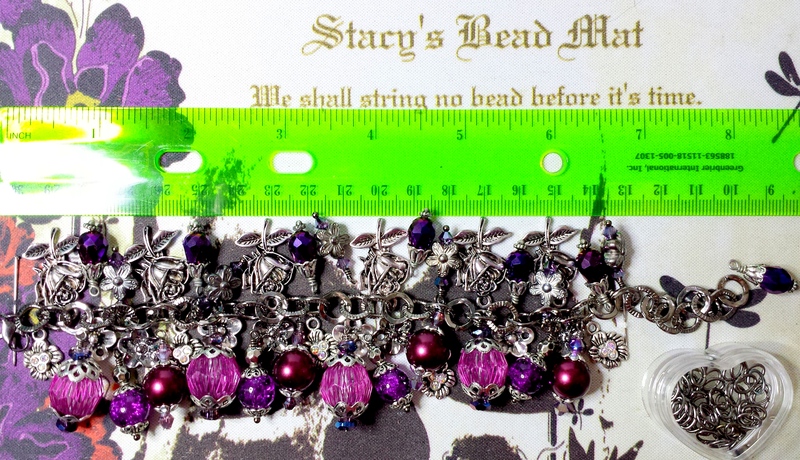 Measure out about 6-7 inches down from the clasp and secure it right there with your other pin. 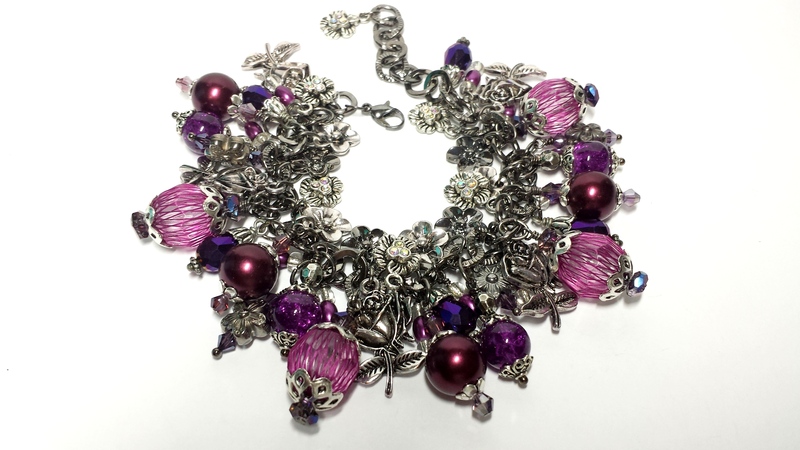 This is your canvas to create in so begin to lay out your charms on both sides in a pattern that you feel gives a good balance and continuity to your bracelet. Now, here comes the math! Count how many links in the chain there are within the area you have pinned, then count how many charms you have on one side of this chain. Is there enough for each link? Or is there just enough for you to skip one link or two links in between each charm? If it’s an odd number then you should look at the charms your using and see if there is a wider charm that could take up the slack by skipping one before and one after just this wider charm. It’s just a little basic math and anyone can configure it. After you do this with one side, do the same configuration for the other. Now you are ready to attach the charms! This is the final part! Open your jump ring and place the charm on the jump ring first and then attach it to the chain link using both long nose pliers to close them up in order according to your blueprint using your final equations. Do one side at a time making sure to secure close each and every jump ring. I prefer oval jump rings because the split is on the side of the oval so when the charm hangs, it doesn’t hang on the part where you close it and there is less chance of losing your charm if it gets caught on something. 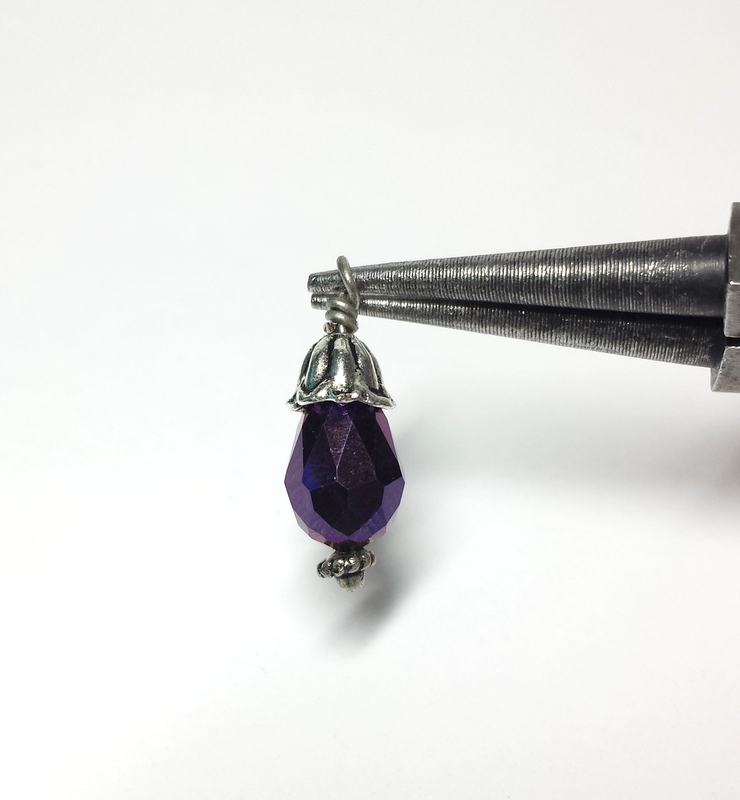 You may want to consider a little bead or charm dangle for the tip of the extender chain for a finished look. 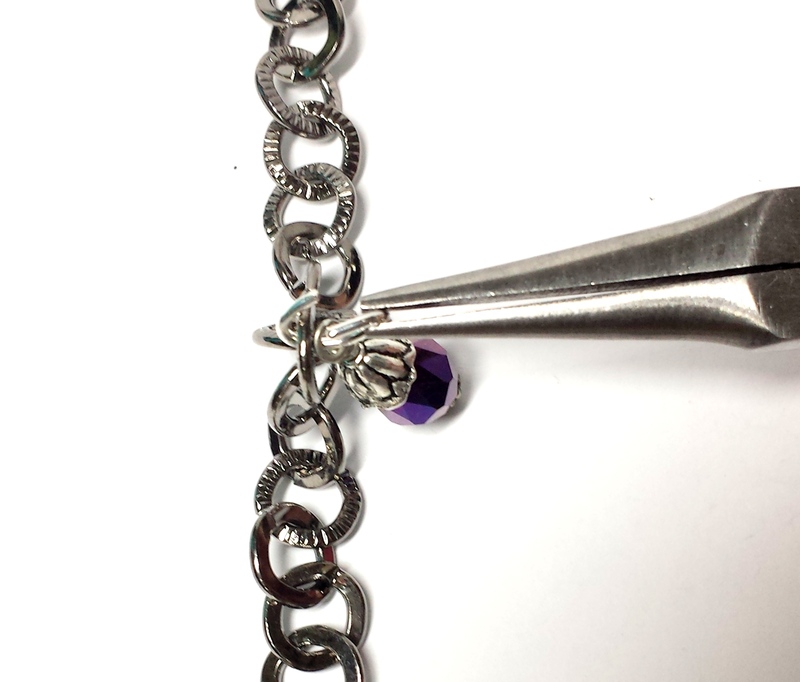 The bracelet you have made is adjustable and can now be worn by anyone from 6 3/4 to 8 inches long. Thank you for reading and learning. I’ll be back soon with another tutorial!